During his visit to the United Kingdom, although Donald Trump criticized the soft way in which Theresa May negotiated the agreement, he said that it is good for the United States. Especially now that the US is openly opposed to the EU. 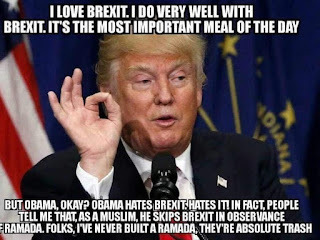 In the background it is found that Donald Trump is opposed to the legacy Obama who at the time said that the Brexit was a mistake.